Home of the Grand Champion Ewe 2017 National Polled Dorset Show - LA 43 "Beauty"
Thanks for visiting our website. Please check out our program and we always welcome inquiries. 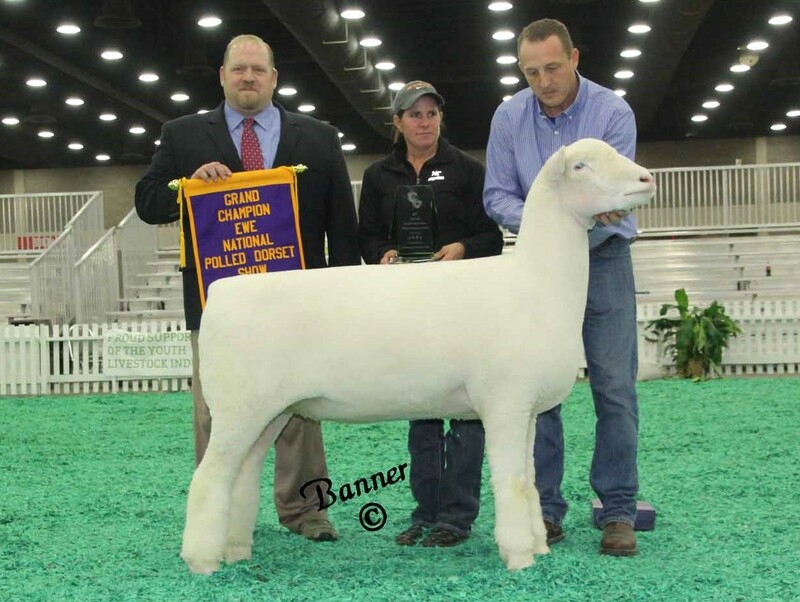 We have sheep for sale off of the farm and consign and/or attend the Ohio Dorset, Illinois Dorset and Sedalia sales. Our Purpose is to breed, sell and show top quality Polled Dorsets to teach work ethic, integrity, and business acumen as a family project. Our Goal is to have fun, build memories, and enable others to do the same; while moving the Dorset breed forward. Our Dorset flock consists of 30 select brood ewes. Stud rams have been successfully used most recently from Riverwood Farms ("Memory Maker" RF5323) and Lauden Acres ("JW Blue" Lauden 787 and "Shock Top" Lauden 843). Currently we are using two Quarter Mile Farms home raised stud rams ("Halftime" QMF 655 and "Murphy's Law" QMF 700).